How did you wake up this morning? If you are like most of us, some kind of terrible noise jolted you out of your sleep, rudely throwing you into a state of temporary terror and panic. And what’s worse is the fact that you programmed it to do just that. 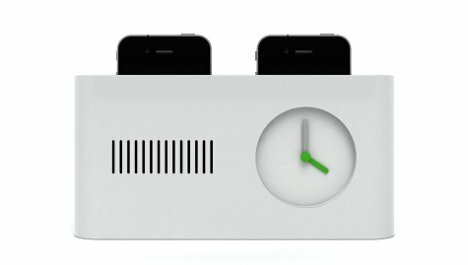 The folks at Habitco think that you should rethink the way you wake up, and they’re making it easy with a truly adorable alarm clock concept. 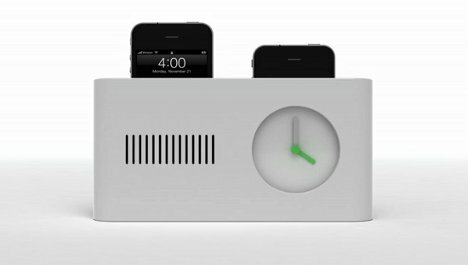 The Day Maker is an iPhone dock that treats your expensive phone like a cheap piece of bread. More accurately, you put your iPhone into a slot in the top of the dock after setting the alarm (you can use the standard iPhone one or the Day Maker app alarm) and when the appointed time comes, your phone pops up like a piece of toast. If you need a little more time, you just push it back down. According to Habitco, the Day Maker brings a smile to your face first thing in the morning, effectively making your entire day better. We are inclined to agree: the bedroom toaster is just goofy enough to inspire a grin, even if it does commit the heinous daily act of waking us from our Star Trek: The Next Generation-themed dreams.